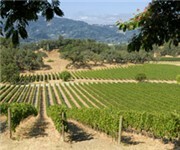 Balverne Cellars Inc. is a winery located in Windsor CA. 1 Comment about Balverne Cellars Inc.
"i came across a bottle of 1986 balverne gewurztraminer that was wasn't stored properly. pepperwood vineyards. How Would You Rate Balverne Cellars Inc.? Wine spots near Balverne Cellars Inc.